Webinar series – How to test the real world? By using virtual validation, you can perform development, verification and validation tasks much earlier, and also reduce the number of additional test systems and ECU prototypes needed. This answers the need for early simulation that the automotive and aerospace industries are currently experiencing. dSPACE tools cover all your virtual validation requirements: SystemDesk for generating virtual ECUs (V-ECUs) from the ECU software architecture, VEOS for PC-based simulation, as well as software for experiments, visualization, and test automation. You can develop and test complex new functions in a completely virtual environment instead of on expensive test benches. 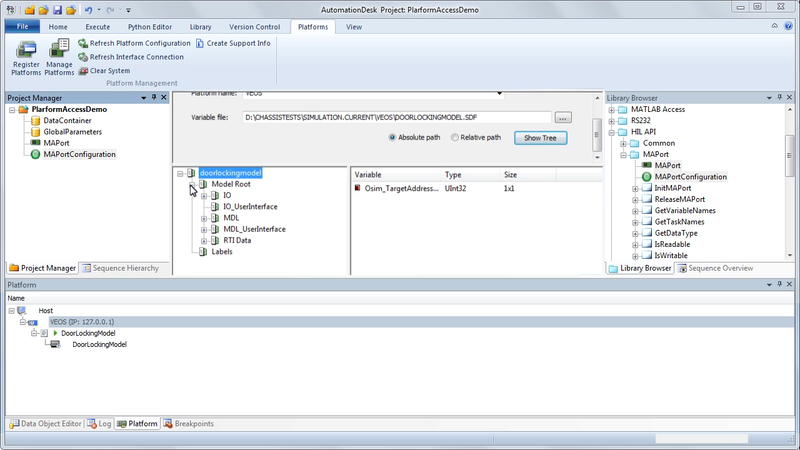 You can prepare simulation models and test libraries on a developer PC, which reduces your preparation time on the HIL simulator. 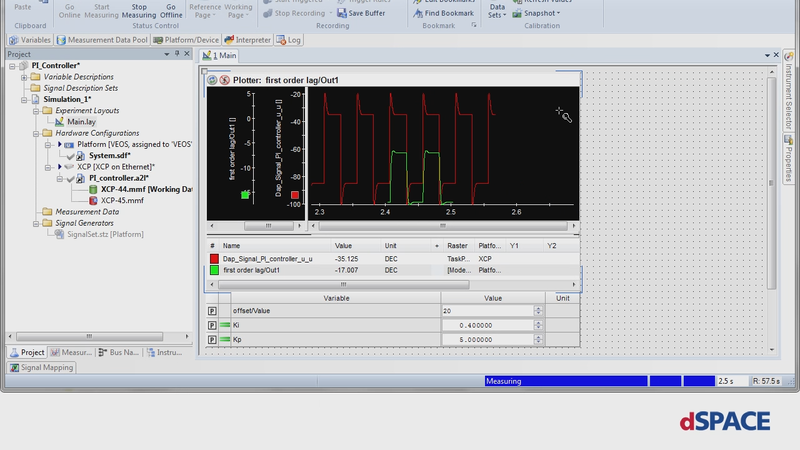 You can reuse the experiment software for instrumenting and controlling the HIL simulation when you run simulations on your PC. A virtual ECU (V-ECU) is software that represents a real ECU in a simulation. Unlike a soft ECU, which uses only a simplified Simulink®/Stateflow® model, a V-ECU consists of real production code. It consists of code only and does not require any special hardware. In SIL scenarios, V-ECUs are used instead of real ECUs or controller models. V-ECUs at the application level contain selected parts of the application software, the operating system, the RTE and required parts of the basic software typically provided by dSPACE. 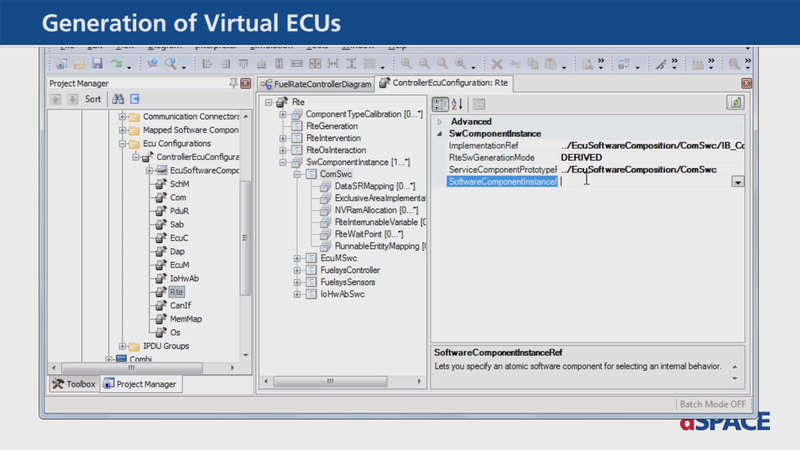 V-ECUs can also include the application software and parts of the production basic software, such as Dem, NvM, and COM. V-ECUs can include the complete application software and hardware-independent basic software, except modules for the Microcontroller Abstraction Layer (MCAL). Function and software developers who only work with single components can create a V-ECU directly with Simulink or TargetLink. The result is a simple V-ECU with only a specific part of the application layer of the ECU software. It enables basic functional tests. Software integrators who want to test a more complex network of functions can combine software components, functions or non-AUTOSAR code from different sources in SystemDesk to create the ECU’s software architecture. They can then use the SystemDesk V-ECU Generation Module to create a complete V-ECU. This includes the run-time environment (RTE) and, if needed, basic software in addition to the application layer. The V-ECUs are used for PC-based simulation with VEOS. VEOS can easily be integrated into existing tool chains because it supports various automotive standards. Therefore, you can keep existing tools when you add VEOS to your rapid control prototyping or HIL tool chain to perform XCP XIL API PC-based simulation. By using dSPACE software and hardware, you gain high flexibility and investment protection for new projects and challenges. In July 2009, ASAM (Association for Standardization of Automation and Measuring Systems) released the new XIL API standard, defining an interface to connect test automation tools like AutomationDesk with any simulation platform, such as VEOS or SCALEXIO. The standard enables truly platform-independent test development. AUTOSAR (AUTomotive Open System ARchitecture) is a de-facto open industry standard for automotive electric/electronic (E/E) architectures. dSPACE joined the AUTOSAR partnership as a Premium Member in April 2004 and is active in defining and developing parts of the architecture and its specifications. 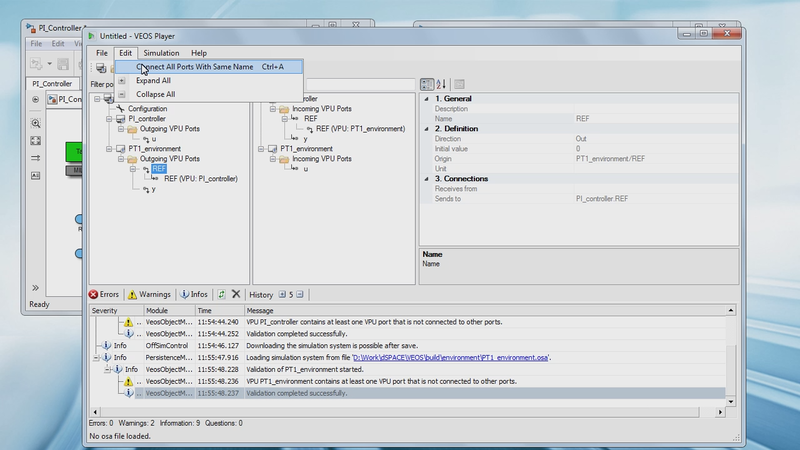 The Functional Mock-up Interface (FMI) is an open standard for the exchange and integration of plant models provided by different tool vendors. dSPACE has signed the Codex of PLM Openness and works actively in the ProSTEP Smart Systems Engineering project, the Modelica Association FMI project to further develop the FMI standard, and the Modelica Association project for System Structure and Parameterization of Components for Virtual System Design (SSP). Success Stories Overview of the wide range of virtual validation application scenarios.